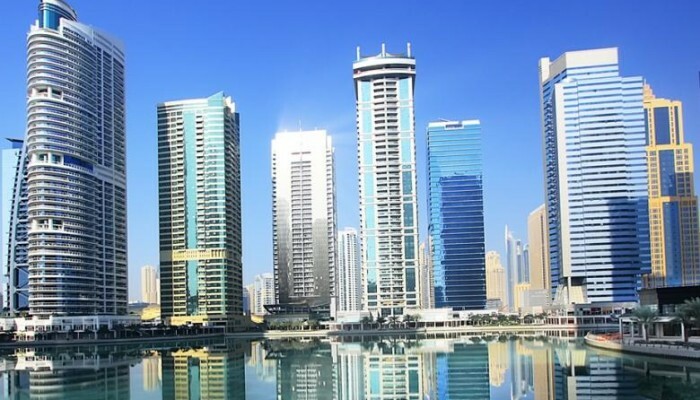 Owning a property in Dubai cannot be more affordable and easy. More and more developers are coming up with easy payment plans, affordable buying options and interest-free loans to attract new clients. A new developer wants to open the market to an even bigger audience by coming has come up with interest-free instalment plans for up to 10 years. Dubai-based City Properties has unveiled its first major real estate project, Al Haseen Residences, and with it a hard-to-ignore purchase plan. Buyers can book their properties by paying just 5 per cent, with a total of 40 per cent to be paid by the time of handover — 5 per cent every quarter. The remaining 60 per cent will be converted into monthly instalments spread over 10 years at zero interest. Tauseef Hayat Khan, chairman of City Properties, says the guiding principle of the company is to convince and convert those who are renting their properties into homeowners and convert their rents into investments. Al Haseen Residences is the first of the 10 residential properties the developer plans in Dubai Industrial Park (DIP). The G+6 residential tower has about 312 units consisting of studio, one- and two-bedroom apartments. Amenities include a swimming pool, gym, covered parking and central AC. The average price of a studio apartment is about Dh400,000, while the one-bedroom units start at around Dh700,000. Khan and his company have been in the business for the past 25 years and was mostly involved in property management. “I can confidently say that there are not many people who can understand tenants and the tenancy market more than me,” says Khan. “With my experience, I realised that if I could come out with an affordable alternate to renting, especially since the rents often fluctuate and are subject to variations, I can easily convert tenants into owners. With the bulk of the price paid after possession, the monthly instalments come out cheaper than the average rent in the market, says Khan. “Based on our calculations, a person can own an apartment by just paying Dh2,020 per month in instalments,” he says, adding that the same properties will fetch a rental yield of at least Dh3,400 under current market conditions. Khan says the response from the market has been very encouraging. “In about three weeks we have already managed to sell more than 30 per cent of the units. The demand for studio apartments was so high that we had to stop the sales. There is a big demand from people who want to buy more than one unit. Therefore, we are now offering studio apartments as a combo along with one-bedroom apartments,” he says. The construction work on the first building started in February and is expected to be completed by the end of next year. The developer has planned to build nine other buildings in DIP before 2020. Khan says he chose DIP because of its proximity to the Al Maktoum International Airport and the growing development activity in the surrounding area. With each project taking about 18 months to complete, Khan says he’s not in a hurry to rapidly expand his portfolio. “We do not want to rush into building all the towers at once. We will go about it in a phased manner. Only after we complete our first two projects will we launch the remaining ones,” he says.